Dr. Byrne is a regular reviewer for submissions to the Journal of Product Innovative Management, and an ad-hoc reviewer for the Technovation. He is also active in the School and University serving on numerous committees, including: Middles States, LFC Constitution review, FAR review, Master Plan, Online learning and Planning, Academic Standards, Graduate Admission, Planning & Budget, Grievance, Academic technology and others. 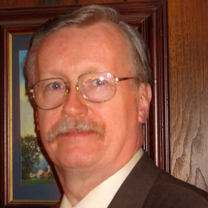 Dr. Byrne received two Lubin awards: “Excellence in Research” and “Excellence in Teaching”. Prior to his academic career, Dr. Byrne spent more than 30 years in several technology fields: biotechnology, electronic instrumentation, manufacturing and precision optics. He managed capital biotechnology projects for many of the world’s leading biotechnology and pharmaceutical companies, and acted as liaison with facilities in France, Switzerland and England. He maintains a consulting practice that addresses the pharmaceutical/biotechnology and the metal recycling industries. Akgun, A. E., Keskin, H., Byrne, J. (2014). Complex adaptive system mechanisms, adaptive management practices, and firm product innovativeness. R&D Management. 44(1), 18. Akgun, A. E., Keskin, H., Byrne, J., Lynn, G. S. (2014). Antecedents and consequences of organizations' technology sensemaking capability. Technological Forecasting And Social Change. 88(Oct 2014), 216-231.